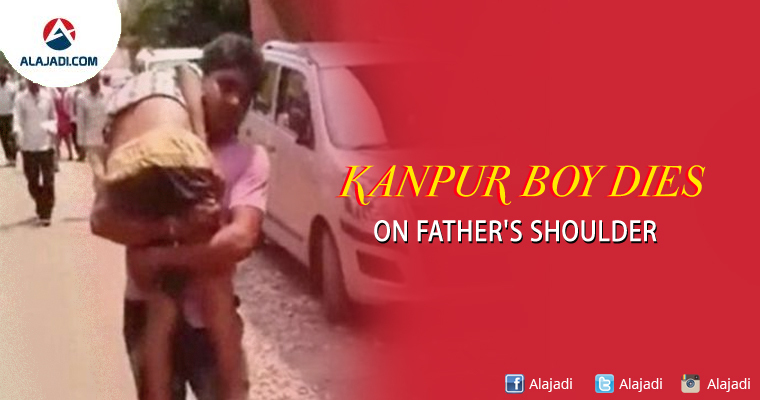 » Kanpur boy Anshu died on his father’s shoulder. 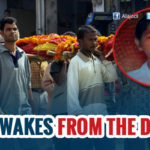 A man has alleged that his 12-year-old son died due to negligence of doctors at the GSVM Medical College in Kanpur, a charge which the hospital authorities have refuted. Sunil Kumar’s son, Ansh, was denied in the emergency section of the hospital. They neither provided any assistance to the father to carry his son to a children’s medical centre where he was suggested to go. Without any stretcher or ambulance, the father started walking towards the children’s hospital 250 metres away, carrying Ansh on his shoulder. It is when, the boy died. GSVM Medical College Principal Navneet Kumar on Tuesday said the child was already brought dead to the hospital and an inquiry has been ordered into the matter. On August 28, Sunil Kumar brought his son Anshu, who was suffering from fever, to the emergency ward of Hallet hospital of the GSVM Medical College. 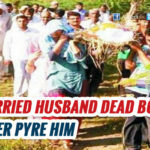 He has alleged that the doctors asked him to go from one department to another, which he did while carrying his son on his shoulder, and Anshu died in the process. A committee, led by three doctors, has been asked to submit a report on the matter within three days, Mr. Navneet Kumar said. Kanpur District Magistrate Kaushal Raj Sharma has also ordered an inquiry into the matter and formed a two-member committee comprising Additional City Magistrate and Additional Chief Medical Officer.